In 2016, £115.9 million was invested by car dealers across the UK for direct mail marketing campaigns and online display advertising. This is according to figures published in the Car Purchasing UK Report by Google in April 2017. Google’s Drive To Decide Report, which was created in association with TNS, includes a discussion about how the auto shopper that we see today is more digitally savvy than previous generations. Over 82% of the UK population aged 18 and over have access to the internet for personal reasons, 85% use smartphones and 65% choose a smartphone as their preferred device to access the internet. These figures show that for car dealers to keep their head in the game, a digital transition is vital. Research is also carried out online by 90% of auto shoppers, the report goes on to reveal. 51% of buyers start their auto research online, with 41% of those using a search engine. To capture those shoppers beginning their research online, car dealers must think in terms of the customer’s micro-moments of influence, which could include online display ads – one marketing method that currently occupies a significant proportion of car dealers’ marketing budgets. In 2017, eMarketer has estimated that the automotive sector made up 11% of the entire year’s Digital Ad Spending Growth in the UK. This placed the industry in second place behind the retail sector. The automotive industry is forecast to see a further 9.5% increase in ad spending in 2018. Many car purchases remain to be completed on a dealership’s forecourt though. Therefore, how is online influencing their decisions? 41% of shoppers who research online find their smartphone research ‘very valuable’. 60% said they were influenced by what they saw in the media, of which 22% were influenced by marketing promotions – proving online investment is working. In the automotive sector, the most invested forms of marketing also continue to be the traditional techniques of radio and TV. In the last past five years though, it is digital that has made the biggest jump from fifth most popular method to third, seeing an increase of 10.6% in expenditure. When factoring in that online sales across the fashion sector reached £16.2 billion during 2017, one thing is certainly clear — online investment is critical to the success of fashion retailers! This figure is expected to continue to grow by a huge 79% by 2022. So where are fashion retailers investing their marketing budgets? Has online marketing become a priority? Almost a quarter of all purchases made in December 2017 were for ecommerce goods too, research from the British Retail Consortium claims, with online brands like Boohoo and ASOS continuing to embrace the online shopping phenomenon. ASOS experienced an 18% UK sales growth in the final four months of 2017, whilst Boohoo saw a 31% increase in sales throughout the same period. 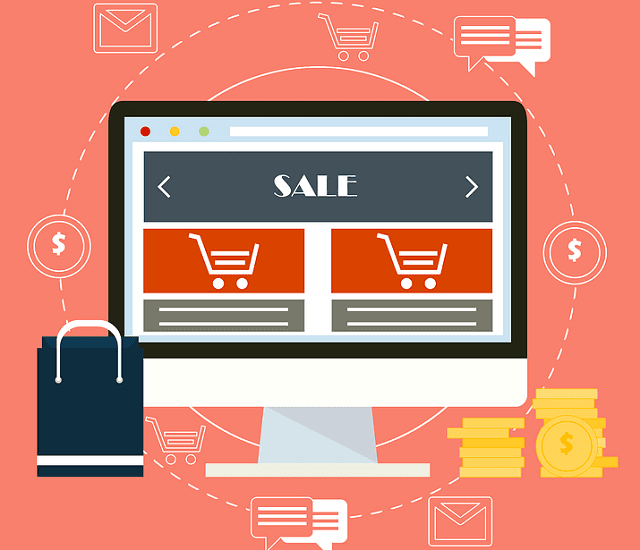 Millions have also been invested by the likes of Next, Marks and Spencer and John Lewis into their online operations and marketing techniques, as they aim to drive digital sales and better capture the attention of online shoppers. John Lewis announced that 40% of its Christmas sales came from online shoppers, and whilst Next struggled to keep up with the sales growth of its competitors, it has announced it will invest £10 million into its online marketing and operations. An important point to make here is that shoppers are no longer interested in visiting their local high street for their shopping sprees. Instead, they like the idea of being able to conveniently shop from the comfort of their home, or via their smartphone devices whilst on the move. Influencer marketing is another big topic for those in the fashion industry. According to the PMYB Influencer Marketing Agency, 59% of fashion marketers increased their budget for this type of marketing last year. In fact, 75% of global fashion brands collaborate with social media influencers as part of their marketing strategy. When put alongside traditional forms of advertising in 2017, over a third of marketers were confident that influencer marketing techniques would be more successful. This is because 22% of customers are said to be acquired through influencer marketing. To find the perfect utilities supplier for their needs, a lot of consumers are now visiting comparison websites. It is these types of websites which could be the key to many suppliers acquiring and retaining customers. Millions are spent by the most well-known comparison websites to create attention-grabbing TV marketing campaigns which then get watched by millions of people across the nation. Due to this, it has become vital for many utility suppliers to be listed on comparison websites and offer a very competitive price, in order to stay in the game and generate sales. Compare the Market, Confused.com, Go Compare and MoneySupermarket are the UK’s four largest comparison websites and each feature within the nation’s top 100 highest spending advertisers. However, does that marketing investment reflect on utility suppliers? The difference between a high rate of customer acquisition for one supplier and a high rate of customer retention for another could be as a result of comparison sites. If you don’t beat your competitors, then what is to stop your existing and potential new customers choosing your competitors over you? The marketing aims of British Gas has changed recently. Previously they had been focused on customer acquisition, but have now changed to concentrate more on customer retention. Whilst the company recognize that this approach to marketing will be a slower process to yield measurable results, they firmly believe that retention will in turn lead to acquisition. The Gas company hope that by marketing a wider range of tailored products and services to their existing customers, they will be able to improve customer retention. The firm is investing £100 million into a new loyalty scheme. This will offer discounted energy and services, which focuses on the value of a customer, their behavior and spending habits over time to discover what they are looking for in the company. The utilities sector is incredibly competitive, so it is vital that companies invest in their existing customers before looking for new customers. Digital is important to those across the utilities industry as well. 40% of all searches in Q3 2017 were carried out on mobile, for instance, while a further 45% of all ad impressions were via mobile too – according to Google’s Public Utilities Report in December 2017. As mobile usage continues to soar, companies need to consider content created specifically for mobile users as they account for a large proportion of the market now. As a result of them being restricted by heavy regulations on many occasions, those in the healthcare industry follow an entirely different set of marketing rules. The same ROI methods that have been adopted by other sectors simply don’t work for the healthcare market. Despite nearly 74% of all healthcare marketing emails remaining unopened, you’ll be surprised to learn that email marketing is essential for the healthcare industry’s marketing strategy. Email is now used by around 2.5 million people as a primary means of communication—with this technique rising in both value and usage over the last few years. This means email marketing is targeting a large audience. For this reason, 62% of physicians and other healthcare providers prefer communication via email – and now that smartphone devices allow users to check their emails on their device, email marketing puts companies at the fingertips of their audience. Those in the healthcare sector should also consider online marketing as a worthwhile investment. After all, one in 20 Google searches are for health-related content. This could be attributed to the fact that many people turn to a search engine for medical answer before calling the GP. According to data from the Pew Research Center, a search engine will be the starting point of 77% of all health enquiries. 72% of total internet users also say they’ve looked online for health information within the past year. Furthermore, 52% of smartphone users have used their device to look up the medical information they require. Statistics estimate that marketing spend for online marketing accounts for 35% of the overall budget. Don’t discount the value of social media marketing either. Whilst the healthcare industry is restricted to how they market their services and products, that doesn’t mean social media should be neglected. In fact, an effective social media campaign could be a crucial investment for organisations, with 41% of people choosing a healthcare provider based on their social media reputation! And the reason? The success of social campaigns is usually attributed to the fact audiences can engage with the content on familiar platforms. Those in the fashion and automotive industries should no doubt see online marketing investment as being something they simply cannot ignore any longer. With a clear increase in online demand in both sectors that is changing the purchase process, some game players could find themselves out of the game before it has even begun if they neglect digital. The picture becomes a lot larger for those in the utilities sector though. Whilst TV and digital appear to remain the main sales driving forces, it’s more than just creating your own marketing campaign when comparison sites need to be considered. Without the correct marketing, advertising or listing on comparison sites, you could fall behind. It is expected that the average firm will allocate at least 41% of their marketing budget to online techniques in 2018, if research by webstrategies.com is anything to go by. This figure is expected to grow even further to reach 45% by 2020 too. Social media advertising investments is expected to represent 25% of total online spending and search engine banner ads are also expected to grow significantly too – all presumably as a result of more mobile and online usage. Are you confident the investment will be worth it at your company? If mobile and online usage continues to grow year-on-year at the rate it has done in the past few years, business experts forecast the investment in marketing to be not only worthwhile but essential. I hope you enjoyed this article about how to calculate the ROI from marketing across a wide variety of rapidly changing industries. Interested in more articles about marketing and finance?